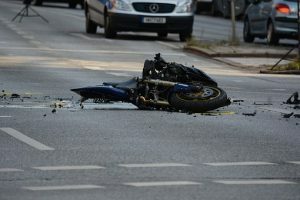 Motorcycle accidents can be some of the most lethal accidents that happen. These accidents can cause devastating injuries. Drivers must remember to share the road, and motorcyclists must remain cautious. The risk of these accidents should always be on our minds when we are behind the wheel. Careful driving is vital to keep yourself and everyone around you safe. On June 6, Needham police received information about a car accident that involved a motorcyclist and a vehicle. The accident was reported to police around 5:30 in the evening, and emergency responders were dispatched to the scratch on Great Plain Avenue. Upon arrival, they discovered that the car was struck by a motorcycle attempting to pass the car on the left. The motorcycle then fled the scene at a high rate of speed. The individual driving the car suffered from injuries, and medical care laws administered at the scene. The incident is under investigation. Hit-and-run accidents can be difficult for victims to understand. These actions can leave victims behind to suffer from their injuries and not receive the help they need. Fleeing the scene is a criminal action, and it is no light matter. All driver must take accountability for their actions while behind the wheel. We at the Law Offices of Jeffrey S. Glassman are dedicated members of the community, and we want our roads to be safe for all. We also urge drivers to take responsibility for their actions while driving. Negligent driving can have severe consequences. Since accidents cannot be completely avoided even when drivers are doing their best, we are also dedicated to helping victims get the help they need so they can begin to heal.